Gunsmith/stockmaker Alex Wheeler is a very smart guy. Among his many clever innovations is an adjustable bag-rider that fits on the underside of the buttstock at the rear. Alex calls this a “Rudder” because it allows the shooter to align the tracking perfectly. The rudder assembly can swing left and right using an adjustment bolt. You can also adjust the Rudder’s vertical “angle of attack” with simple shims. Some guys like the Rudder’s 3/4″-wide bottom perfectly parallel with the bore axis. Others prefer a slight angle so the stock slides down a bit during recoil. This second video shows how well a Rudder-equipped stock performs. 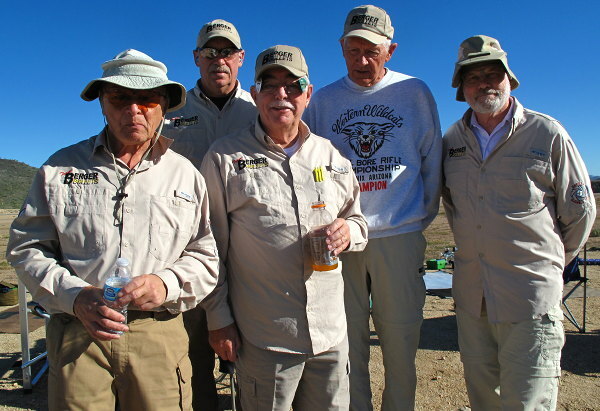 This shows IBS 1000-yard Champ Tom Mousel running five (5) shots with his 17-lb Light Gun chambered in 6BR Ackley Improved. Note how perfectly the stock tracks. It runs smoothly straight back then comes right back on target when pushed forward by Mousel. Check it out — this is impressive. It’s relatively easy to install these rudders on most wood and wood laminate stocks. Alex says: “Just notch the stock, and install the anchors for the adjustment bolts.” In addition, McMillan will soon be offering fiberglass stocks with a notch designed to fit the Wheeler rudder. 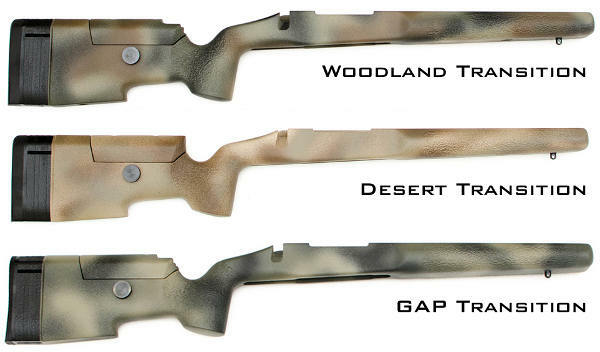 Based on Alex’s Deep Creek Tracker stock design, these new McMillan stocks with have metals rails in the front also. Share the post "Adjustable Stock Rudders for Long-Range Benchrest Stocks"
This Super 50 BR stock is approximately 44” long and has a forearm about 20.75” long from the front of the action. And if that’s not long enough, the forward “shoe” can be machined up to 6″ longer to extend the “wheelbase” even further. This stock has a minimum weight of about 9 pounds in Light Gun configuration and a max weight of about 18 pounds (for the stock itself) as a Heavy Gun stock. The Super 50 BR is an ambidextrous design that may be inletted and used both right and left-handed. 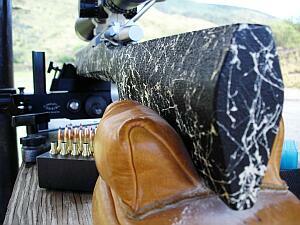 Share the post "Long and Strong — The New McMillan Super 50 BR Stock"